CHICAGO -- Chicago police say a caretaker killed a toddler whose dismembered remains were found in a park lagoon last year because the child was lactose intolerant and started crying after he drank some milk. 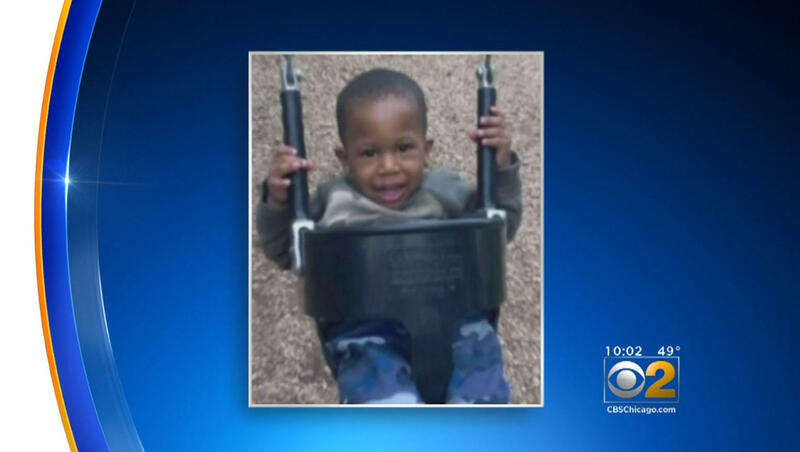 41-year-old Kamel Harris, who was arrested Tuesday, has been charged with one felony count each of first-degree murder, concealment of a homicidal death and dismembering a human body in the death of two-year-old Kyrian Knox, reports CBS Chicago. The Rockford boy’s remains were found in September 2015 in the Garfield Park lagoon on Chicago’s West Side. The toddler’s foot was found on Sept. 5, 2015, and divers uncovered more remains including his head and hands in the next several days. Speaking at a press conference Tuesday night, Chicago police Cmdr. Kevin Duffin said a break for investigators came when blood found underneath carpeting in a vehicle driven by Harris was matched to the child. Harris had initially denied that the boy, who had been left with him by the child’s mother, was ever in the car, Duffin said. Several witnesses also came forward who knew information “only the killer could know” and testified before a Cook County grand jury, Duffin said. Duffin said investigators believe Harris killed the child because the boy, who was lactose intolerant, was crying all afternoon because he drank some milk. The alleged motive is based off of third-party witness statements, Duffin said. “He just kinda snapped and couldn’t deal with it anymore,” Duffin said. The child’s death was ruled a homicide, but a medical examiner was not able to determine the boy’s cause of death. The boy’s grandmother Cameshia Harris told WBBM newsradio she hopes Harris “rots in jail.” She said she was incredulous at the alleged motive. The toddler’s mother told police last year the child was staying with Harris and his girlfriend while she moved from Rockford to Iowa. In November 2015, police said Harris and his girlfriend had been uncooperative with the investigation. Duffin said Kyrian is believed to have been killed in Rockford, but that Harris is charged in Cook County because the child’s body was found in Chicago and police in that city did extensive work on the case. Duffin said Harris used to live in the area near the lagoon and had family in the area. Harris was being held in a jail in Winnebago County on an unrelated charge before detectives arrested him and took him into their custody. He was expected to face a Cook County judge on Wednesday, the station reported. A lawyer for him couldn’t immediately be located.